Turn the rehydration into a relaxing event and give yourself some quality time in the process. There are lots of lovely treatments and masks for you to choose from. In Melissa Salons in Manchester, we specialise in the Unite range. 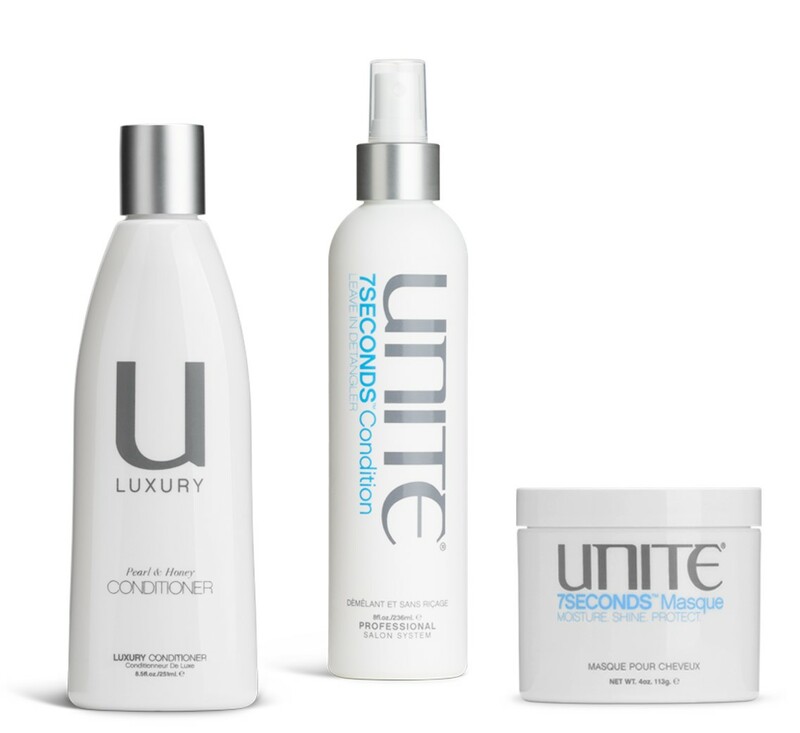 Unite have some wonderfully nourishing treatments and as a result, combats hair dehydration. If you need advice on what to use, just pop into the Northern Quarter salon and we can recommend the perfect products to suit your hair. 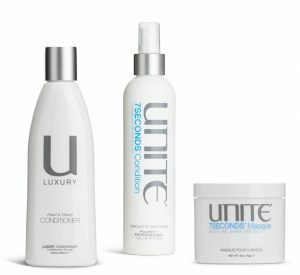 UNITE U LUXURY Pearl and Honey shampoo and conditioner. Anyone wanting their hair to look it’s most beautiful. This duo has just won best professional shampoo and conditioner! Not only is the smell incredible, it also adds weightless lustre and shine to make any hair look beautiful. 7 Seconds Leave-in Conditioning spray. Damaged, knotty, dehydrated hair This is a miracle product for hair that gets easily tangled and just needs some love. Simply spray 4-5 times and blow-dry into hair for silky, frizz free locks. 7 Seconds Deep Conditioning Mask. Dry and brittle hair Just like a face mask you apply this to your hair and leave it for 15 minutes. The mask’s moisturising ingredients are designed to replenish damaged hair and give it added protection. Eat a balanced diet your hair loves healthy food rich in plenty of essential fats, carbohydrates, protein and fresh fruit and vegetables. For essential fats, go for oily fish and vegetable oils. With carbohydrates opt for whole-wheat options (bread, pasta), pulses and brown rice. On the protein, front try to avoid red meat – substitute it with fish, chicken, eggs and nuts instead. 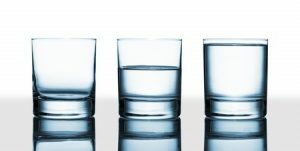 Drink lots of water and minimise the amount of alcohol you drink as this dehydrates you. Remember hair loves Vitamins B, C and E, GLA (Gamma-Linolenic Acid) and the minerals zinc and selenium. Make sure you’re getting plenty of these in your balanced diet, take a supplement. One final tip is to check that your hair regime and choice of daily hair products aren’t consequently causing increased scalp and hair sensitivity. Over washing, intensive drying and reliance on the wrong type of products will result in adding stress your hair. Being aware of anti-again hair care products will ensure you are always rehydrating your hair and giving it the best treatment. Why not book in for a free consultation with one of our team? We can review and recommend changes to your regime, even adjust your style. This would make sure that you are not putting your hair ‘through the mill’ every day and most importantly you still would be achieving the look you want.